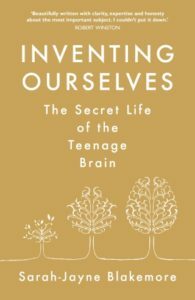 Professor Sarah-Jayne Blakemore, one of the Principal Investigators on the MYRIAD project, has been awarded the 2018 Royal Society Insight Investment Science Book Prize for Inventing Ourselves: The Secret Life of the Teenage Brain. Exploring the development of the adolescent brain, Professor Blakemore’s book examines what makes the teenage brain different. 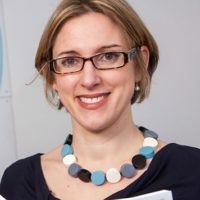 She explores how behaviour and relationships develop during the teenage years and shows that, while adolescence is a period of vulnerability, it is also characterised by great creativity. Inventing Ourselves celebrates adolescence as a phase of life that should be acknowledged and nurtured. The Royal Society prize, sometimes referred to as the “Booker Prize of Science Writing” was first awarded in 1988 and celebrates the very best popular science writing from around the world. You can find full details of the 2018 prize on the Royal Society website and watch the 2018 award ceremony, presented by Professor Brian Cox.